All 32 teams are represented & a 35 piece double sided puzzle can be completed. Approximately 1″ Tall, introducing Pocket Profiles stat sheets for the players in the series. 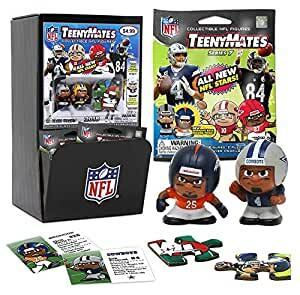 Rare figures may replace the regular football figures in the pack. Odds of Rare figures vary.